SLetiquette is an informal term for Second Life etiquette: manners and customs to help you live a happier Second Life. These should extend to all your social interactions with others within the Second Life platform. 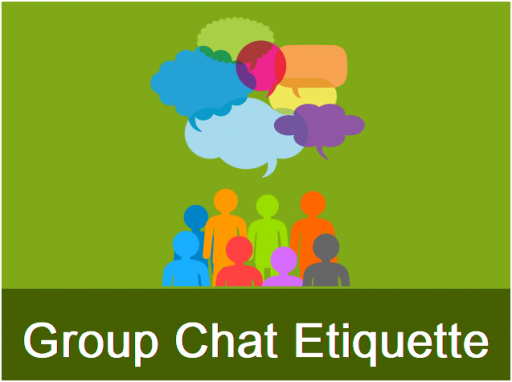 Chat room etiquette is including in an effort to help you avoid unpleasantness in a chat room. This applies to all Amaretto group chat, as well. Be civil to others. This is important in any situation, but even more so in a chat room, because only text is seen, and you can not see facial expressions or hear tones of voice. Do not bash or belittle others. A basic rule of thumb: if you wouldn’t want someone to do it to you then you should not do it to them. Remember to be kind to one another. State questions clearly in the room. Be specific in what you are looking for and provide all relevant details to your question. Give the room a chance to answer you. Patience is a virtue. Don’t spam or flood the room with repeated questions, statements, or links. Avoid typing in all caps. It is hard on the eyes to read and considered rude. It is the Internet equivalent to shouting. If you want to call attention to a particular word or phrase, do so in the same manner that you would in conversation. Inappropriate language is not appreciated, nor tolerated. You should be able to get your point across calmly and cleanly, without resorting to vulgarity. Avoid using slang or texting shortcuts that may be unfamiliar to other chat room participants. Using text that cannot be easily deciphered is like using a foreign language when you know your audience does not understand it. Since your reason for participating in a chat room is to share your views and listen to the views of others, clarity is a good goal to keep in mind. If there are other chat room participants who are rude or hostile, do not engage with them. Doing so only fans the flames of anger or rudeness, and you may get burned in the process. At Amaretto, we are a family and should treat each other accordingly!